I wish to find my mother, Lucinda Duncan, and my brothers and sisters, Washington Kelly, and Mary Duncan, Monroe Duncan and Easter Duncan. 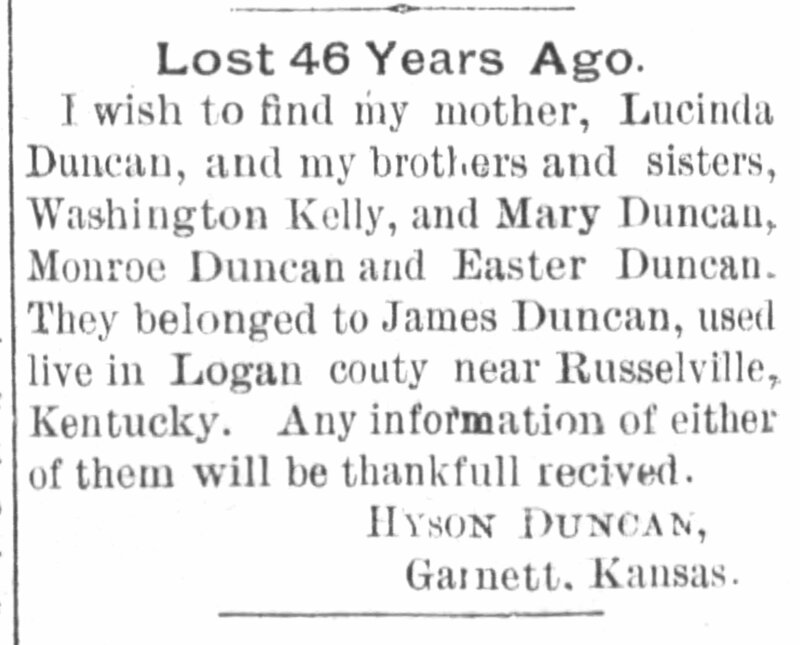 They belonged to James Duncan, used live in Logan couty near Russelville, Kentucky. Any information of either of them will be thankfull recived.